The jetty at Sandstone Point Hotel with views of Bribie Island. LIKE a lemonade popsicle running down your arms as a kid, some summer childhood memories stick. Of long sunny afternoons tearing around on bikes in the street until nightfall. Of crunchy, salt-dried hair from the ocean and chlorine-stung eyes. Of burnt pink noses and shoulders after ignoring Mum's demands to apply more sunscreen. Of watermelon smiles from cheek to cheek. The pool and water park at Big4 Sandstone Point Holiday Resort. Camped by a cabana-lined 500sq m sprawling pool, I sink into a beanbag under the rustling shade of towering palms. It's OK if I can't get out, I have a cocktail in hand. The two-year-old is squealing in delight as she leaps off the pool's edge into Dad's arms. 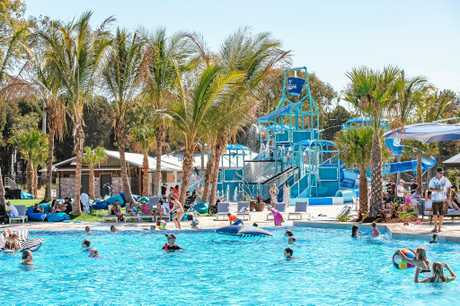 All of sudden a large whoosh of water deafens the resort as 800 litres falls from a giant bucket teetering above a small-scale "Wet 'N' Wild” style entanglement of slides, followed by a concerted echo of screaming, soaked children. This is the stuff of childhood dreams. As the sun sets over Big4 Sandstone Point Holiday Resort, 50km from Brisbane, we feel far from city lights and crawling traffic. The family safari tent makes going back to traditional camping tough. 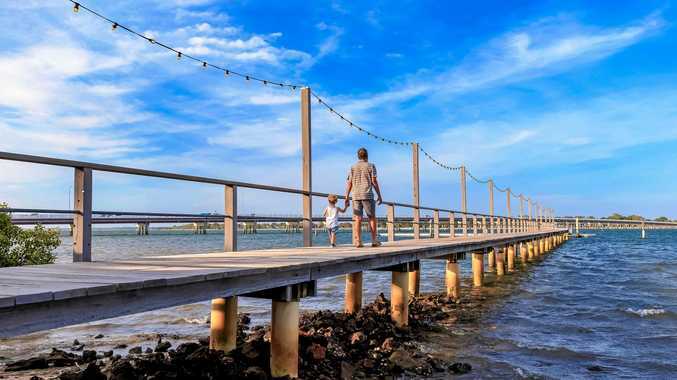 The park opened in October and is a short shuffle from the popular Sandstone Point Hotel famed for its musical acts including the Beach Boys, Bryan Adams and Suzi Quatro, and unobstructed views of Pumicestone Passage and Moreton Bay. Word clearly hasn't taken long to get out. A steady flow of cars and caravans trickles through the gates over the weekend. It's easy to forget this is a caravan park, only of new age proportions to rival that of a coastal resort. 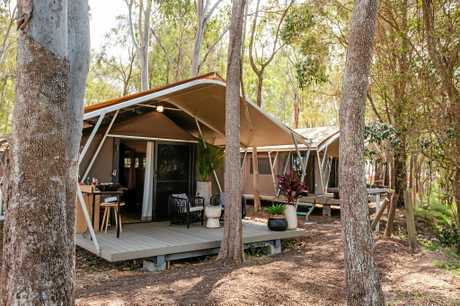 There are tree-lined grassy knolls for caravanners and campers, coastal-inspired villas, safari tents fitted for families, even a two-storey house for a tribe. Each villa and safari tent comes with the option to dial up the luxury. 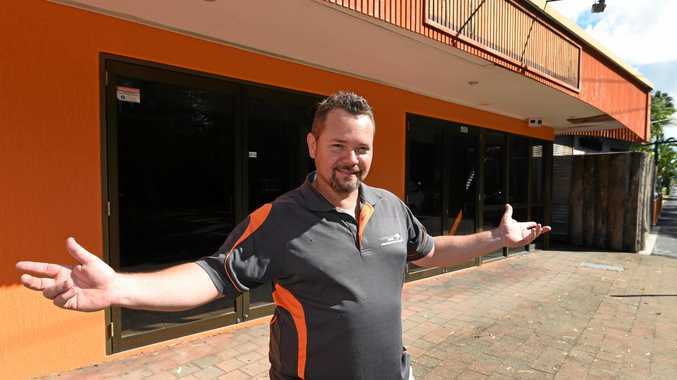 You can even room-charge your meals and drinks at the neighbouring Sandstone Point Hotel. Walking to and from your tent is optional. There are go karts for the kids available to whiz up the concrete paths. There's a playground, giant jumping pillow, games room, tennis courts and basketball hoops to keep their busy minds at bay. Relax under the shady palms while the kids take a dip. The poolside restaurant and bar is on hand to fill hungry bellies with the classics: pizzas, burgers, nachos and salads. Choose your time of day wisely and you'll enjoy the pool to yourself. There are giant floating beanbags for the adults and swinging daybeds on the water's edge. But judging by the number of parents occupying the water park, it's clear their kids are just a decoy to go for a ride. But it's pool to pillow for us. On the way back to our glamping tent we make a quick sunset dash to the fairy light-adorned observation deck where you might spot the odd dugong cruising up the passage if you're lucky. The safari tents are deceiving from the outset. Cocooned by canvas, the walls can simply be rolled away. There's your own veranda with outdoor kitchen and kettle barbecue with leafy water views. Once inside, it's easy to forget the walls are merely draped in khaki. Inside a luxury safari tent available at Big4 Sandstone Point Holiday Resort. Our family suite is sprawling with an open-plan lounge, kitchenette, double bed and bunks. Follow the blonde timber floors to the rear and you'll find a massive bathroom with king-size shower. 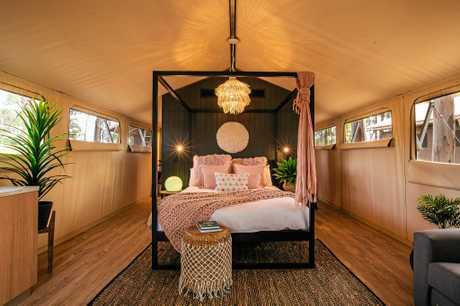 The space is styled meticulously with all the mod-cons (fridge, microwave oven, Netflix) that makes reverting to traditional "camping” seem uninviting, especially after you've seen what's inside the luxury glampers (a four-poster bed and spa). We roll out of bed to the melody of birds and bacon and eggs on the veranda to fuel a day of exploring Bribie Island with all but a bridge separating us. Overshadowed in recent years by land and home packages, the island is actually a slice of paradise on Brisbane's doorstep. With calm turquoise blue waters and panoramas of postcard proportions with peeps of the Glass House Mountains, Bongaree Jetty is a perfect spot to roll out a picnic rug or have a paddle. You'll find long, white sandy stretches on Woorim Beach with four-wheel drive access available - and also at White Patch. Head north from White Patch to tour Bribie Island National Park to spot goannas, kangaroos, even migratory birds from Kakadu. 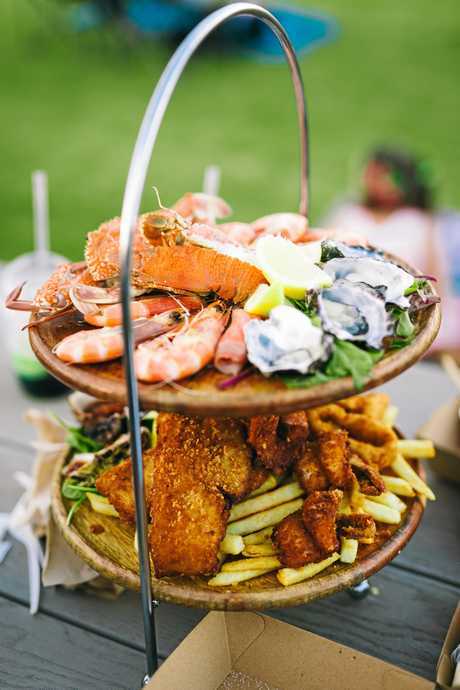 The popular seafood tier at Sandstone Point Hotel is a must. 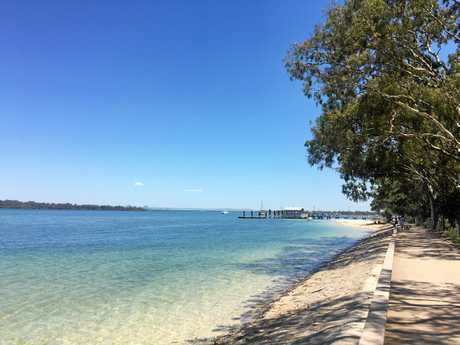 Choose your scene (and fare) on Bribie when it comes to restaurants and eateries. There's fresh seafood, a la carte or your typical surf club and cafe staples. 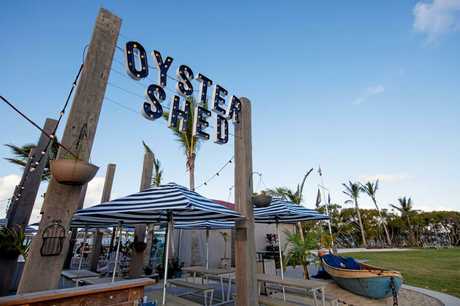 The Sandstone Point Hotel and Oyster Shed are popular spots to sink beers and fresh oysters. 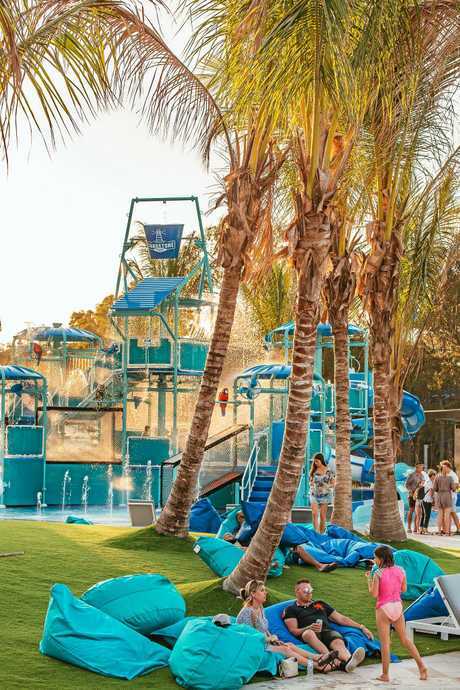 The hotel's impressive barnyard style playground and petting zoo will entertain the kids while mum and dad enjoy their iconic fresh seafood tower. Follow the fairy light trail along the Oyster Shed jetty to see out the day and walk off some of the over indulgences before maybe one more swim.